Well, today started out with big plans. That uniformly fell apart. Such is the way of Con Time. Distractions arise, appointments are double-booked, hangovers, crowds… In short, schedules have to be flexible. And unfortunately, while pulling double duty I didn’t have much room for flexibility. 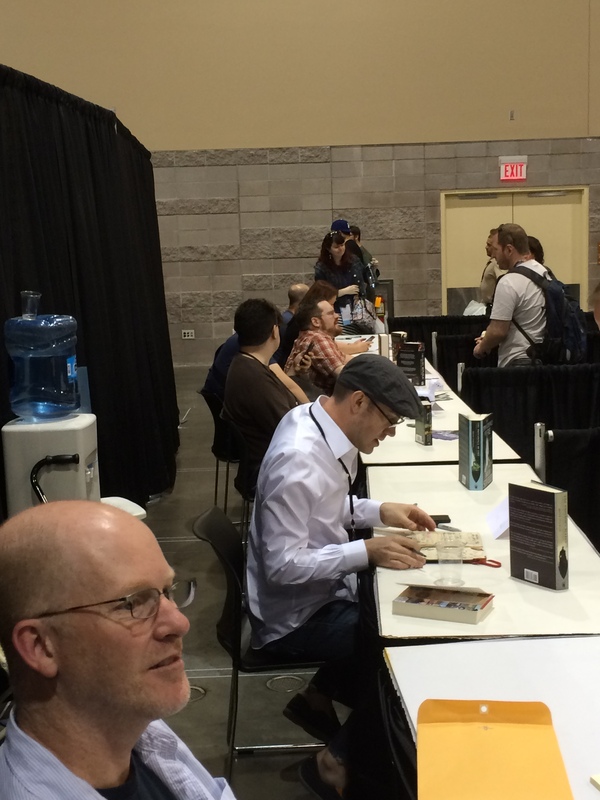 So Pierce Brown, Naomi Novik and Wesley Chu fell by the wayside amidst miscommunication, hustle and exhaustion. I did manage to catch up with Chuck Wendig and get the scoop on a couple new projects of his, including the top secret Star Wars Aftermath. Sorry, no spoilers though. As Chuck said in his panel, he’s not even sure if the novel he delivered is the one being published, it’s so secret. Speaking of his panel. Chuck was kind of shocked he was getting a spotlight feature this year, but he shouldn’t have been. He had a great turnout with plenty of thoughtful audience questions. 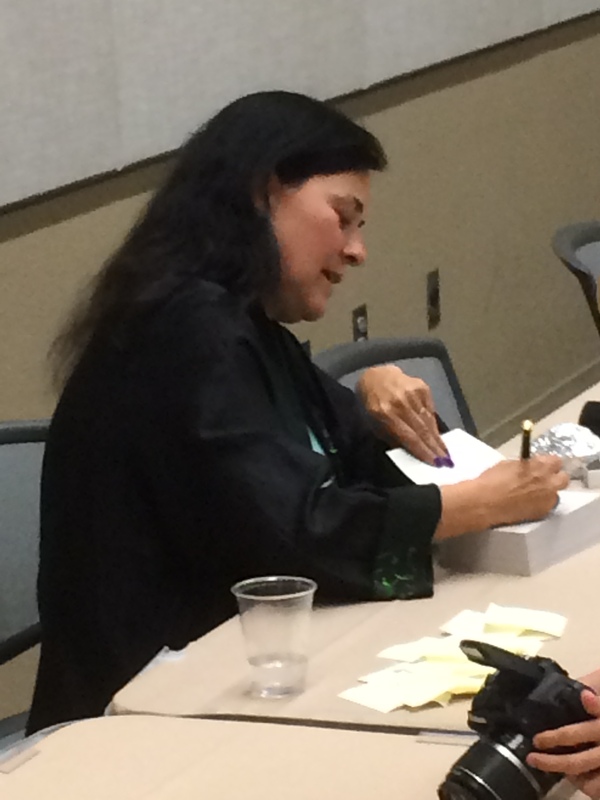 They weren’t just there to save a seat for Diana Gabaldon. Speaking of whom, this happened. 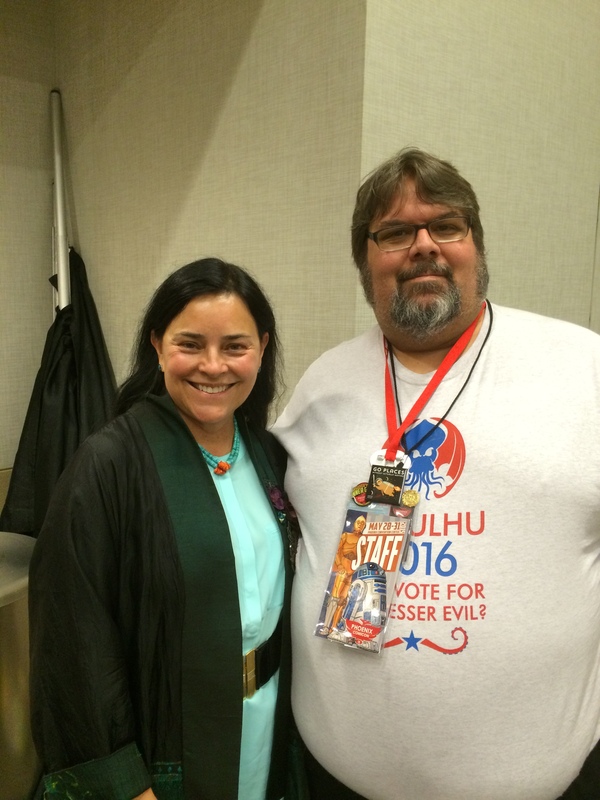 I actually interviewed her ages ago, when she was guest at LepreCon, the long-running local sci-fi con. I doubt she remembered me from that, but she did comment on my book coverage for the Arizona Republic, spotlighting events around town. She was the star of the morning, attracting a huge line of Outlander fans whom she flew in special from Hollywood to meet. 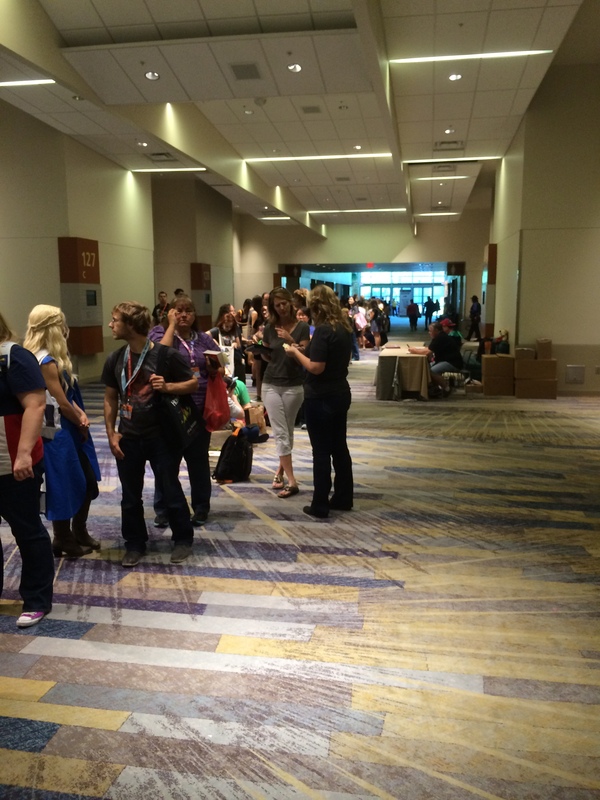 And she was a signing machine, clearing the massive line as the next group of authors set up. It went off like clockwork. The added bonus of free books from Del Rey didn’t hurt either. The rest of the day was pretty chill as well, but after two panels in the cramped exhibit hall I was done. And with no hotel room to slink off to, I had to forgo drinks with authors. This entry was posted in News and tagged Batsu, Diana Gabaldon, Max Brooks, Phoenix Comicon, Sam Sykes. Bookmark the permalink.